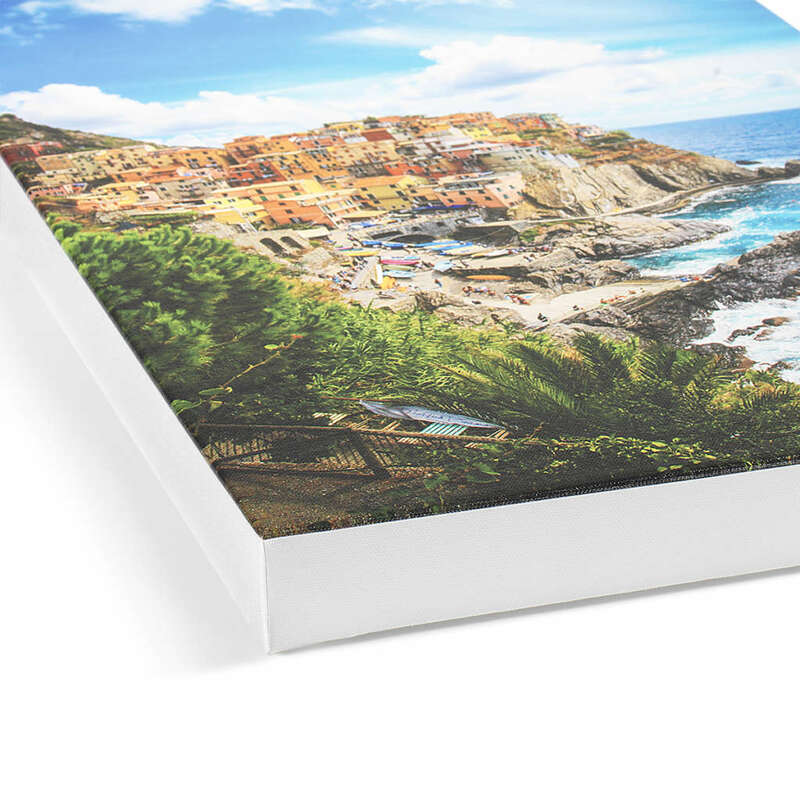 Our thick, textured canvas prints are a great choice for images of any size or content. Professionally printed, packaged, and shipped. 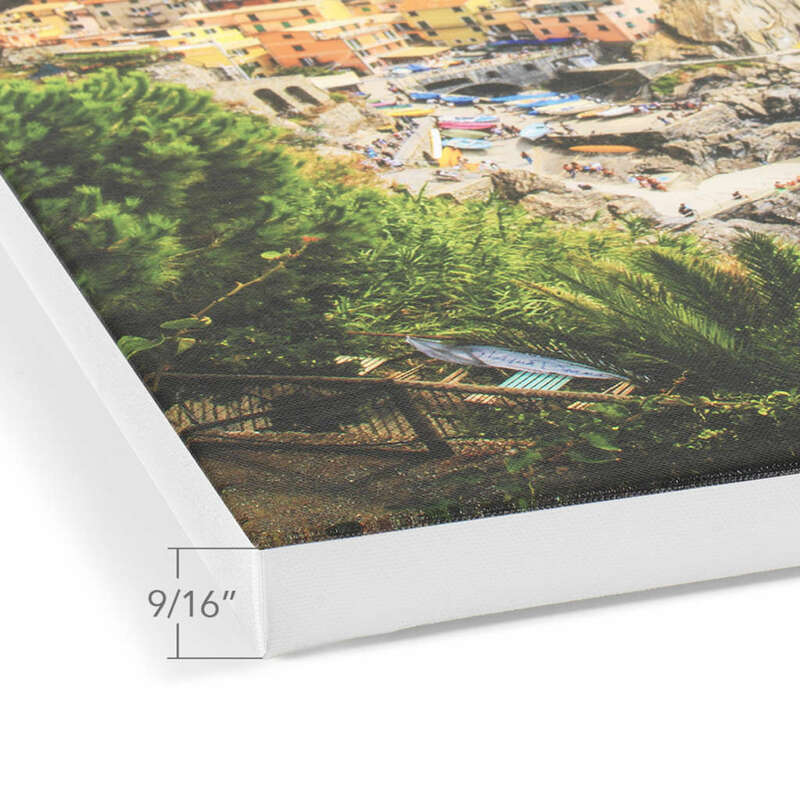 Bring your photos to life with ArtisanHD’s premium archival-rated custom canvas prints. This classic material offers a unique texture and lightweight hanging, in any size. Choose a matte finish for fine art, semi-gloss for portraits, or glossy landscape or commercial prints. ArtisanHD uses the latest in latex ink technology, so there’s no need for an additional varnish. Each canvas is hand-stretched across our standard 1 1/2″ frame, deep 2″ wooden frame, or thin 9/16″ frame to give your print a classic, gallery wrapped canvas look. Your print will be carefully packaged by experienced handlers and shipped directly to you. Don’t want the frame? 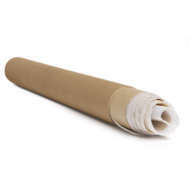 We offer canvas that is professionally printed and carefully rolled in a tube for convenient and secure shipping. This option includes a 3″ white border outside of image size ordered. If you require a larger border for future stretching, please build your file with more border. Please Note – Embedded signatures should always be at minimum 1 inch from the corners of the image. 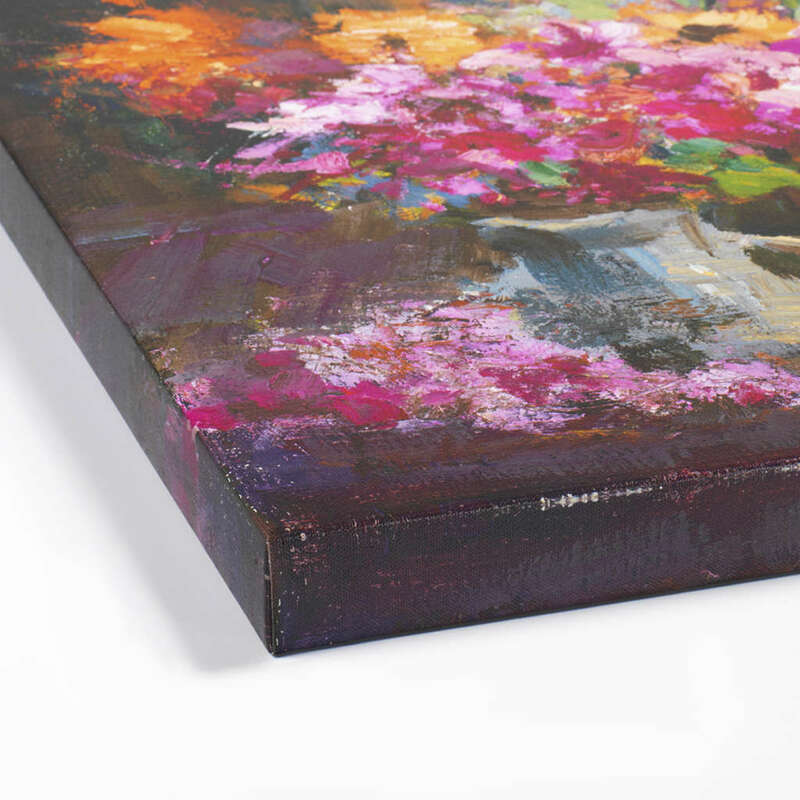 Side surfaces are black, and the canvas is stretched on a high-quality wood frame. 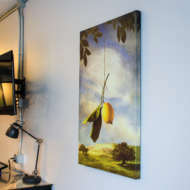 Side surfaces are white, and the canvas is stretched on a high-quality wood frame. 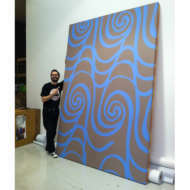 The outer edge of the image is mirrored, and the canvas is stretched on a high-quality wood frame. This option includes a 3″ white border outside of image size ordered. If you require a larger border for future stretching, please build your file with more border. Have questions about our canvas prints? You never have to worry about stretching a canvas yourself unless you want to do it yourself. 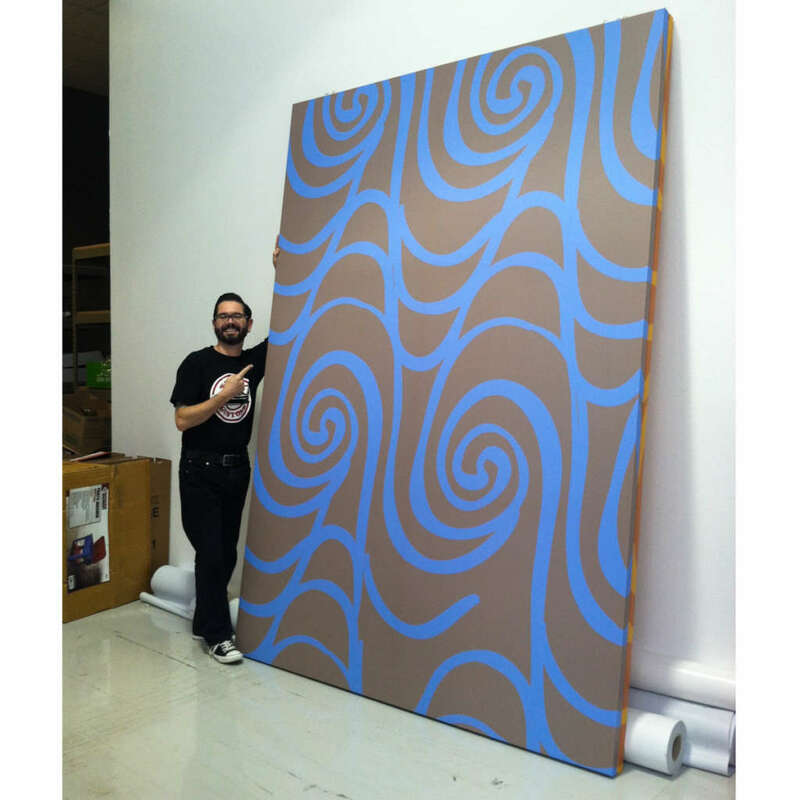 Since we’re experts in custom stretched canvas prints, most people want us to do it. Unless you choose and tell us otherwise, we professionally stretch your photos on canvas over a 1.5″ wooden frame. You can choose to have a plain stretched canvas so that you can frame it yourself, or you can choose a gallery wrapped canvas, a process that requires no frame. With this type of mounting, we wrap the photograph around the edges of all four sides of the frame, giving it a totally finished and gallery-like look. 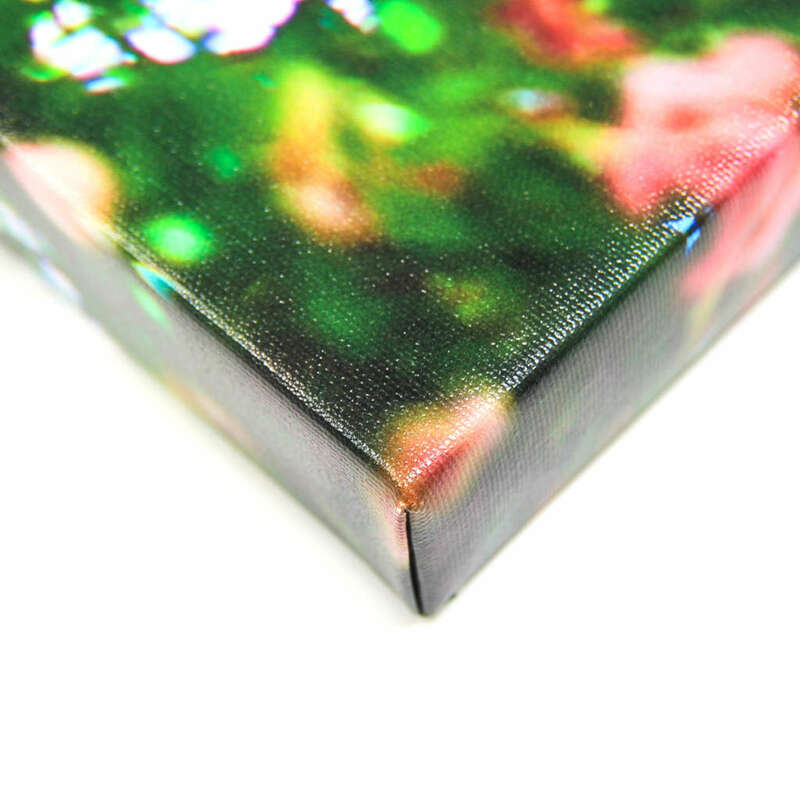 We guarantee that our custom stretched canvas prints will go beyond your expectations. Added to that, our personalized service will never let you down! Do I need to do any special canvas image care? No. 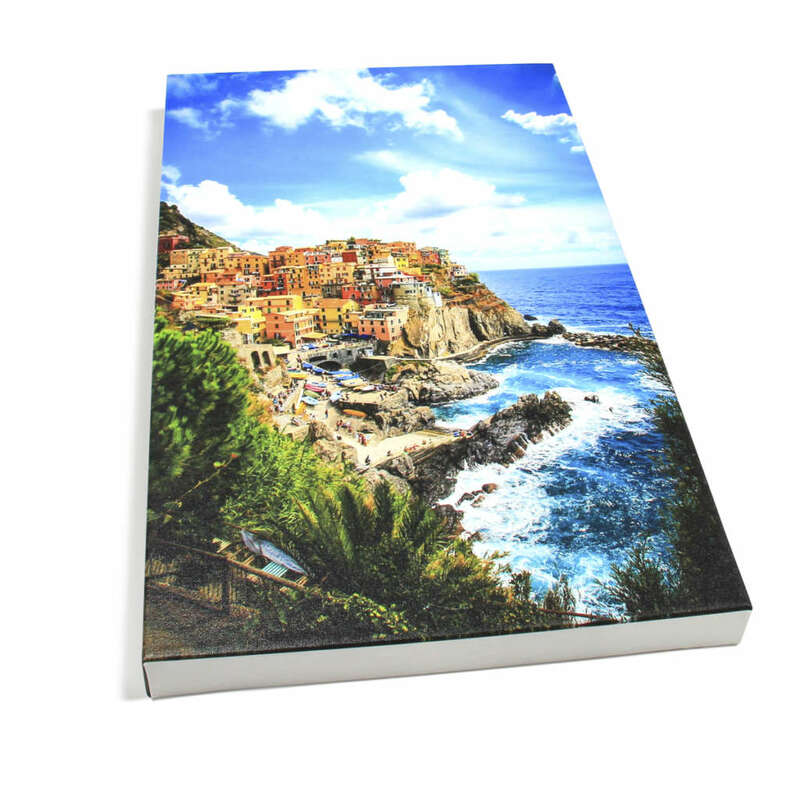 ArtisanHD’s photo to canvas printing process includes a sealant and a UV-protective coating. Because of this, there is nothing special you need to do to care for your canvas image. The same cannot be said for cheap canvas print reproductions! Our canvas prints only require a little bit of dusting with a feather duster or a soft dry towel. 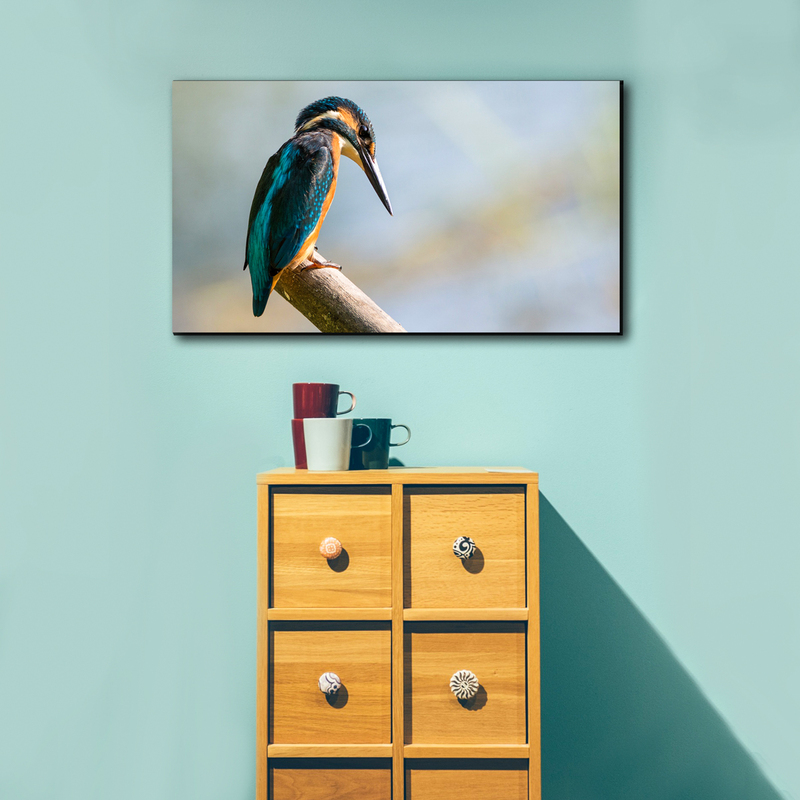 However, we do recommend that you keep your canvas prints indoors and away from direct sunlight at normal room temperatures if you want them to retain their original vividness long-term. This classic, gallery-style print looks great anywhere in your home or office. 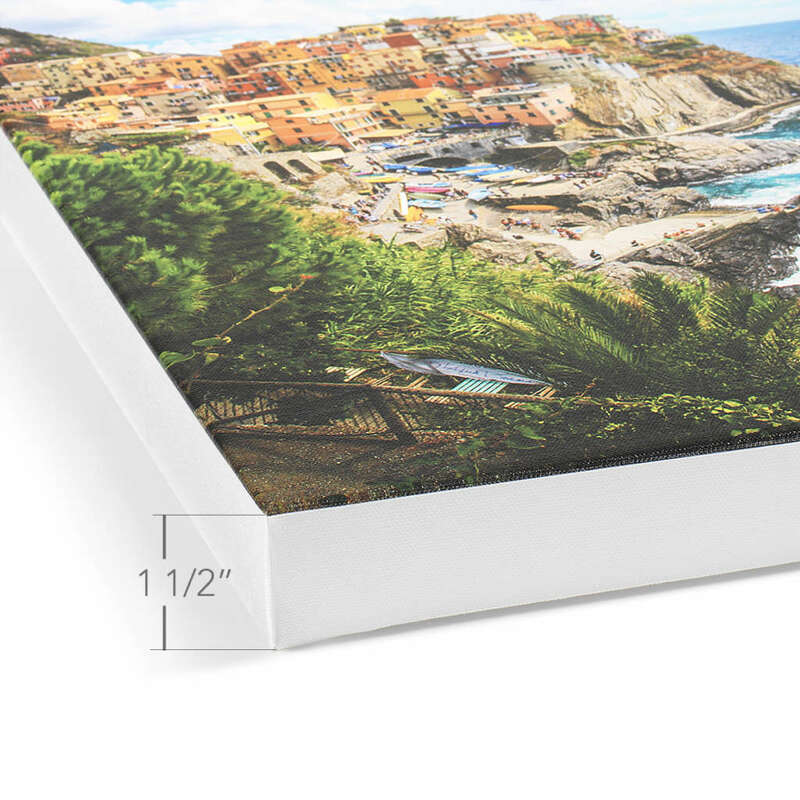 Choose any size canvas image up to 10′. 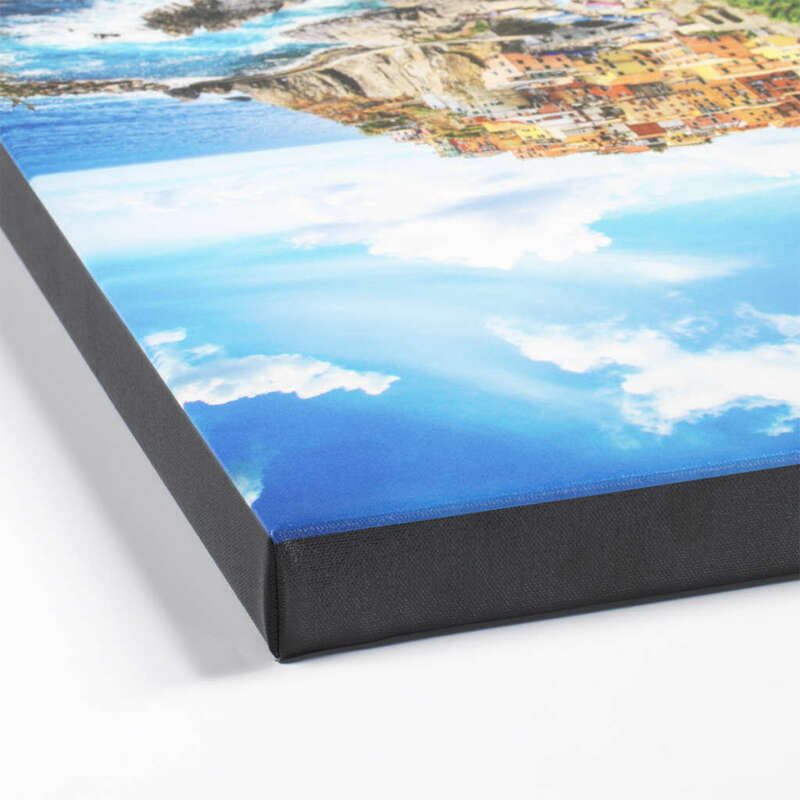 Then choose 3 gallery wrap styles, or a rolled canvas to stretch over your own frame. 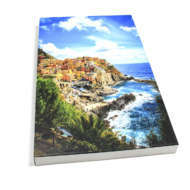 For more information about our custom canvas images, visit our Custom Canvas Product Page. 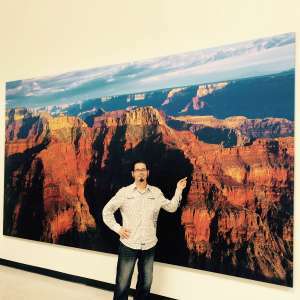 How long will my canvas photographic reproduction last? No photographic reproduction can last forever. However, ArtisanHD’s canvas prints can last 100+ years under the right conditions. Our thick canvas material and sturdy frame help your canvas print stand the test of time. 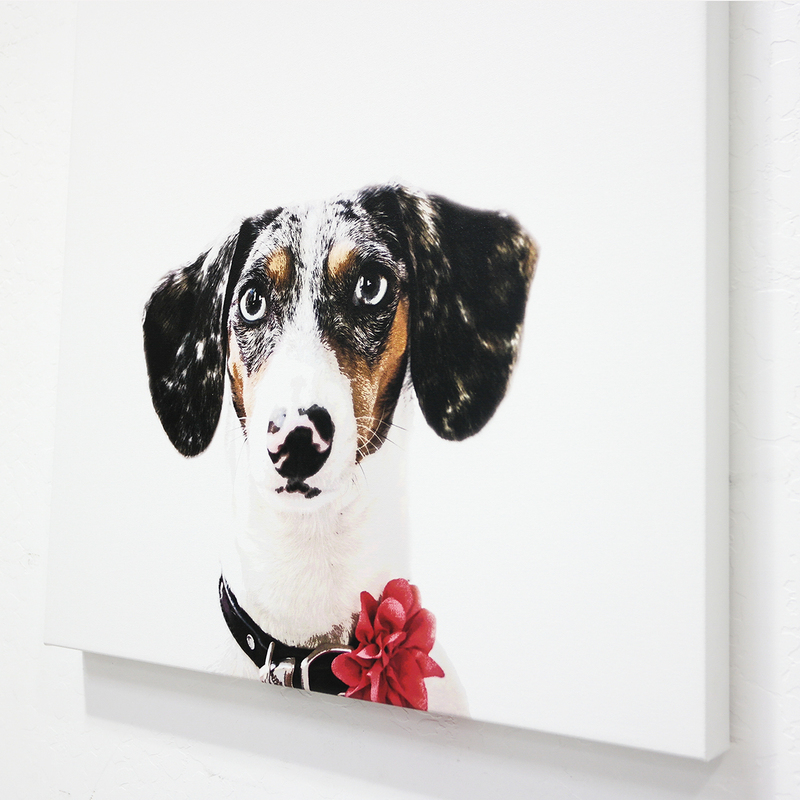 When we print your digital photos on canvas, we use the highest quality canvas available. We produce your prints on large format digital printers. This, combined with fine art printing processes, produce canvas photographic reproductions that are second to none. The reproductions you receive will last for more than a hundred years, if kept out of direct sunlight under normal indoor conditions. This means you need to pay attention to where you hang your image, if you want the vibrant colors to remain as they are for years to come. For more information, check out our Custom Canvas page. Custom canvas prints – What are they and what process is used to create them? Canvas prints are photographs reprinted on a canvas surface. 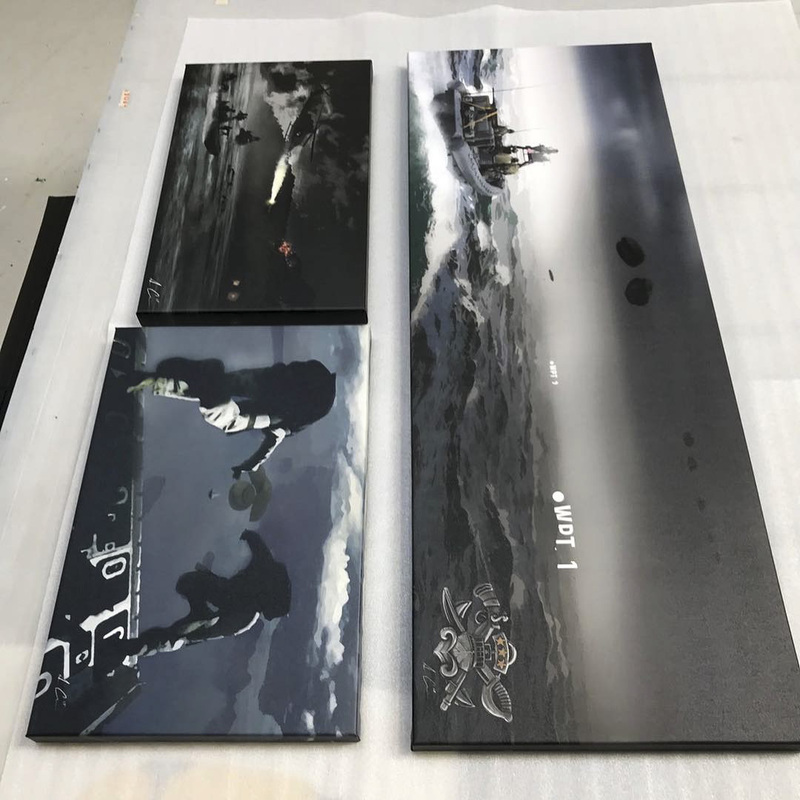 Our in-house canvas professionals will print and stretch the picture you upload so that you can create your very own custom canvas print. ArtisanHD only uses the highest quality artist-grade canvas and inkjet printers to reproduce beautiful custom canvas prints of your photo. 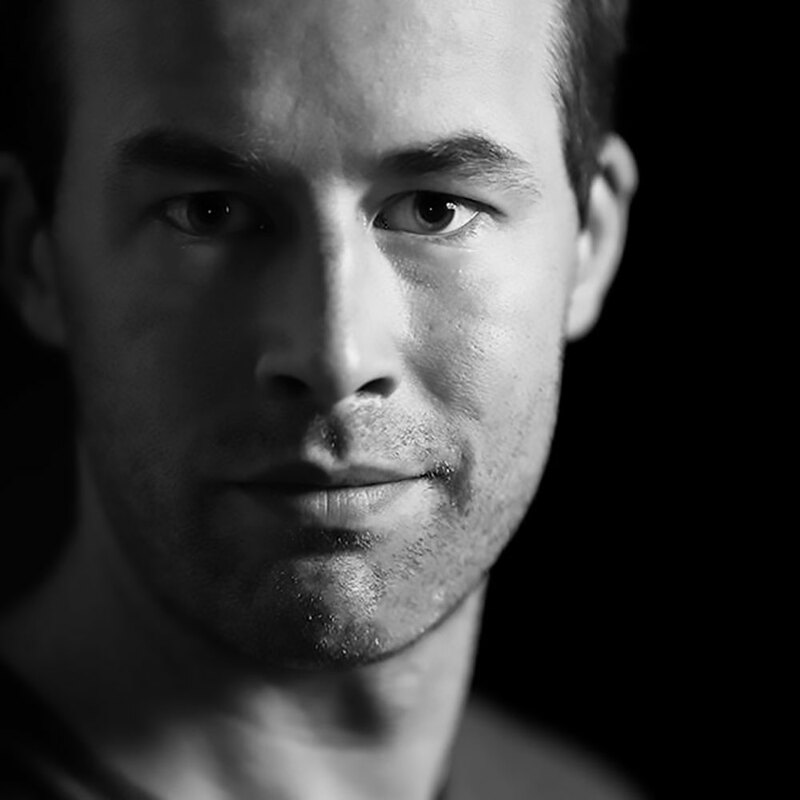 By using our high definition processing, we can turn your photo into a work of art. You get to choose the size and wrap thickness and color so the final product is truly personalized. 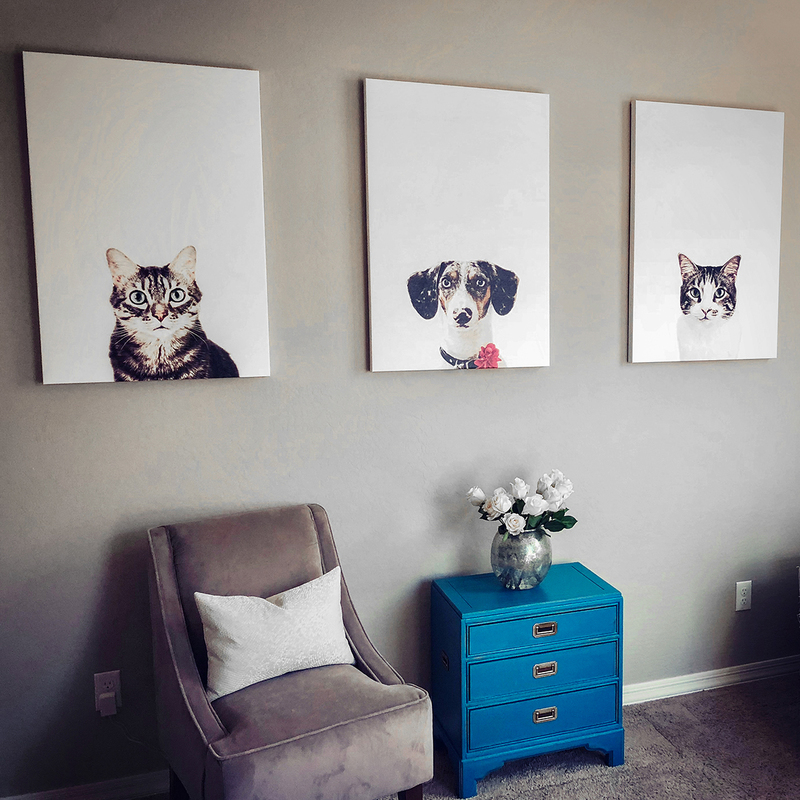 The process for creating your own canvas print that is uniquely your own is as easy as 1, 2, 3! Place your order and leave the rest to us! With our large format printers, we can take your digital photograph and turn it into a gorgeous, high definition art canvas. And using our giclée method, we can deliver museum-quality reprints — as big or as small as you wish to cover the wall space you want to fill. 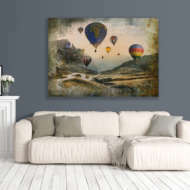 Remember, Canvas prints are a beautiful alternative or addition to any room in your home, big or small. Or even in your office! Canvas is actually much more durable than paper. The material also gives an incomparable depth and quality to a photograph. How can I tell if the resolution of the photo I want you to reproduce for digital canvas printing is sharp enough? When you upload your image file to our online HD configurator, our software will determine the resolution quality. 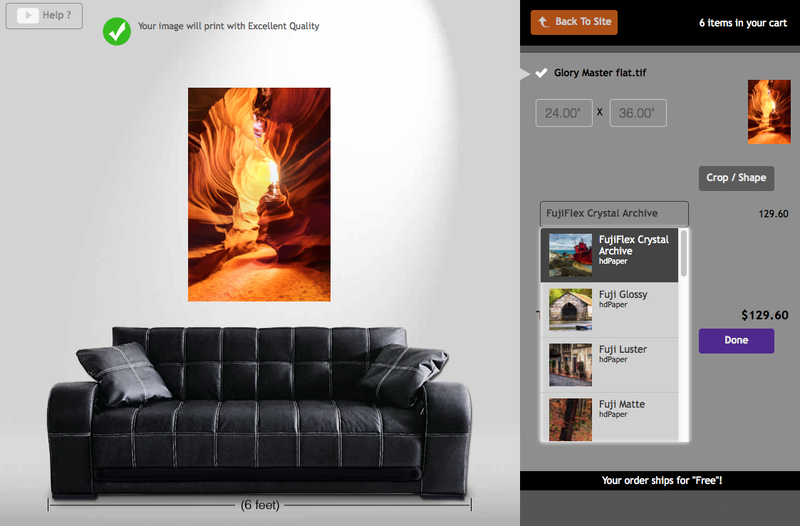 It will tell you if the resolution is too low for bigger sizes of digital canvas printing. To help you gauge the right size, you can even see your custom artwork compared to common household furniture items, like a couch. Unlike the practices of some discount printing houses, if the resolution of your photo is too poor for the size that you select to print, we will contact you before we start working on your digital canvas printing order. 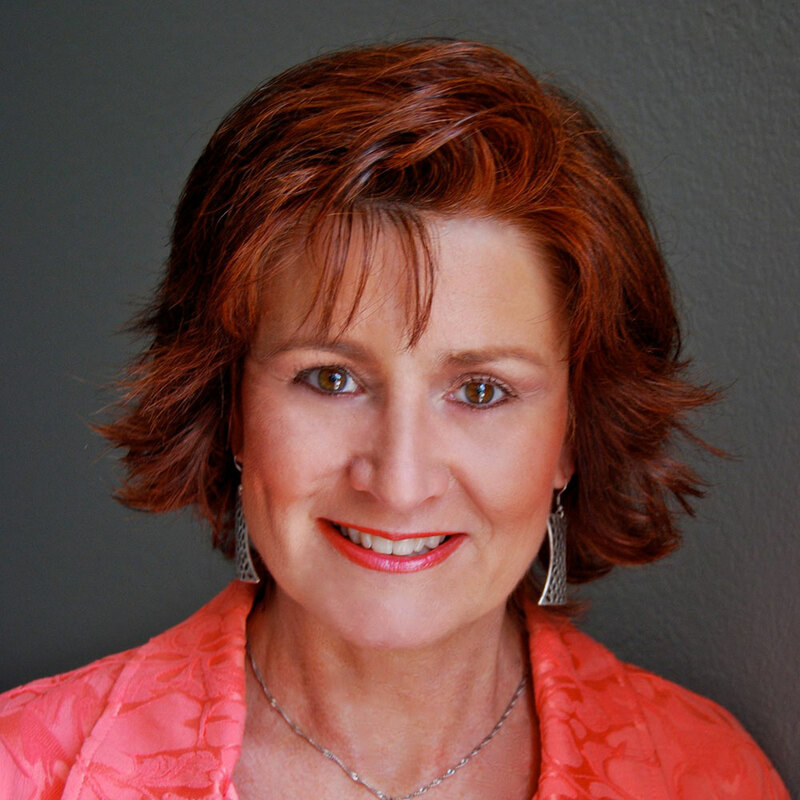 The integrity of your image and product are important to our customer service team – that’s what we’re here for! Check out some tips for high resolution printing, here! 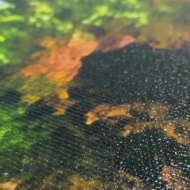 Giclée, from the French meaning to spray and pronounced “gee-clay,” is a printing process from which digital prints are reproduced using ink-jet printing. Artisan HD specializes in the Giclée on Canvas method. 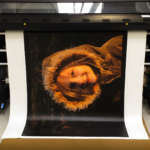 With our large format inkjet printers, we can transfer your artwork and photography projects into fine art giclée prints. Our giclée printing services are always in high demand because of their indisputable beauty. One of the reasons for this demand is that giclée canvas printing requires special light-fast inks. We use only the best quality inks, inks that highlight all of the shades, nuances, and hues of the color of the original digital photograph or painting. 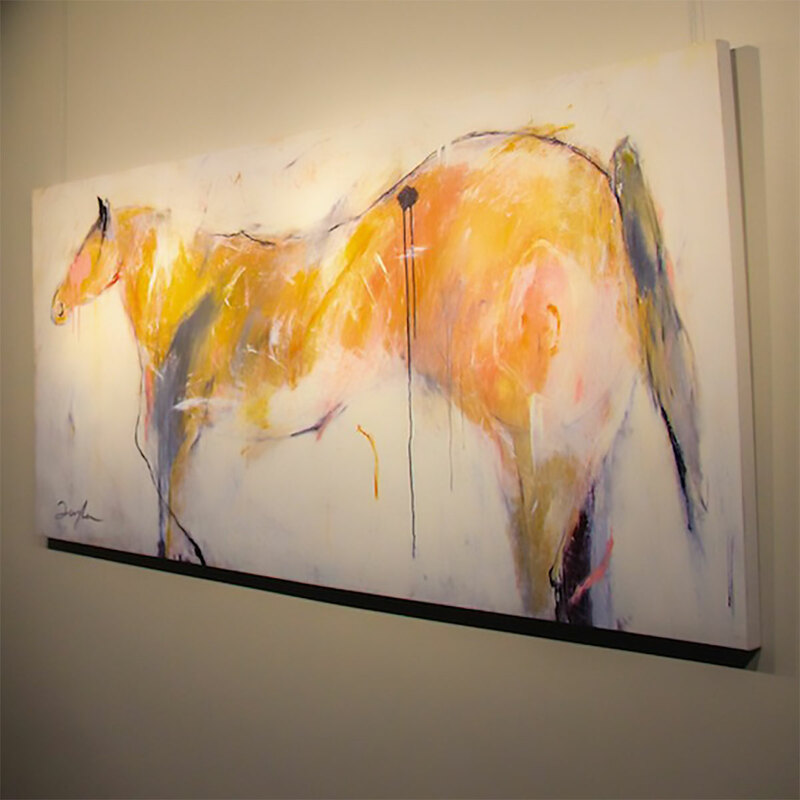 What are some reasons fine art Giclée prints on Canvas are such a good idea? Giclée canvas printing allows photographers to reproduce their photographs onto a completely new medium, other than traditional photo paper. 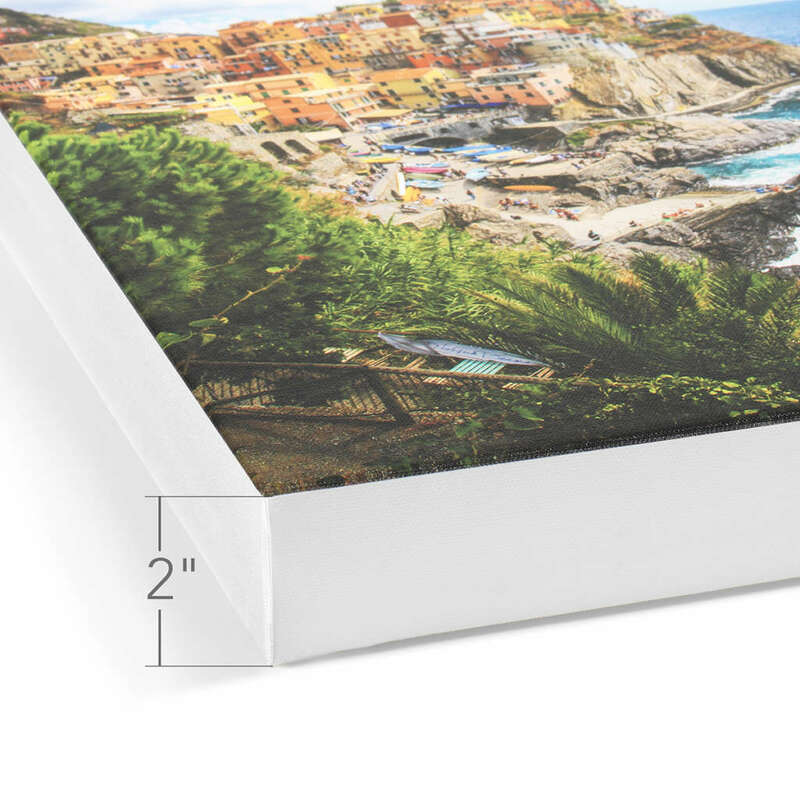 With giclée reprints, we can reproduce digital images to just about any size you want. The results are astounding. Fine art giclée prints on canvas are also very durable, and under the right conditions, last a long time. In the case of professionals, the original work can be multiplied in a limited run for sale purposes. This is very cost-effective for artists with limited budgets. The large format printers used to produce giclée prints work extremely fast and are capable of replicating thousands of prints in a short period of time. Be careful from whom you order your giclée on canvas reprints. They promise you a cheap giclée print and then mail you a print made on canvas paper. 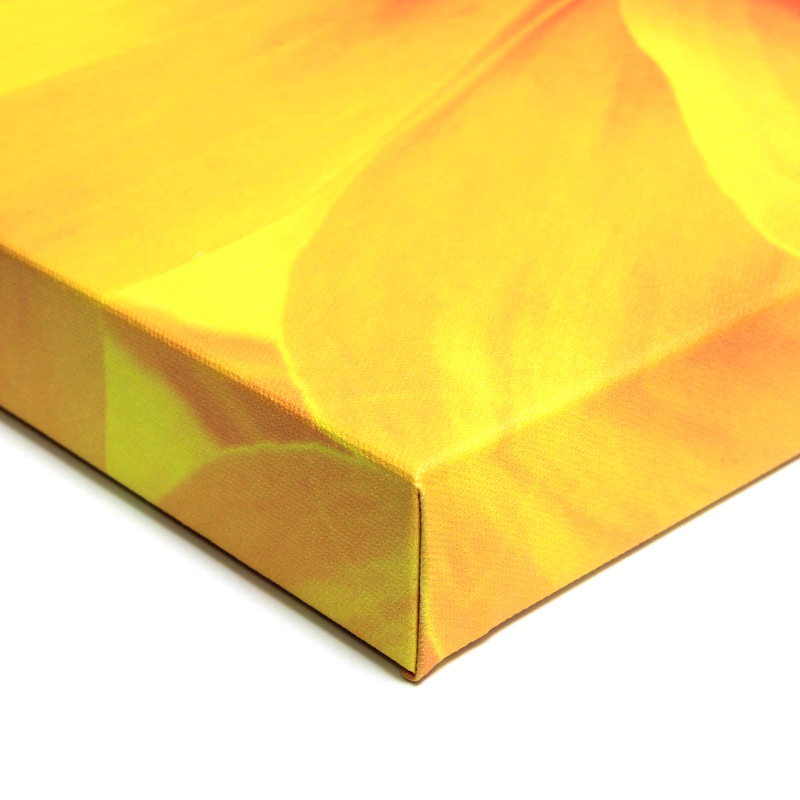 Canvas paper is made to replicate a canvas look but it is not made from the high quality poly-cotton canvas we use. Canvas paper is a linen derivative with an embossed finish. 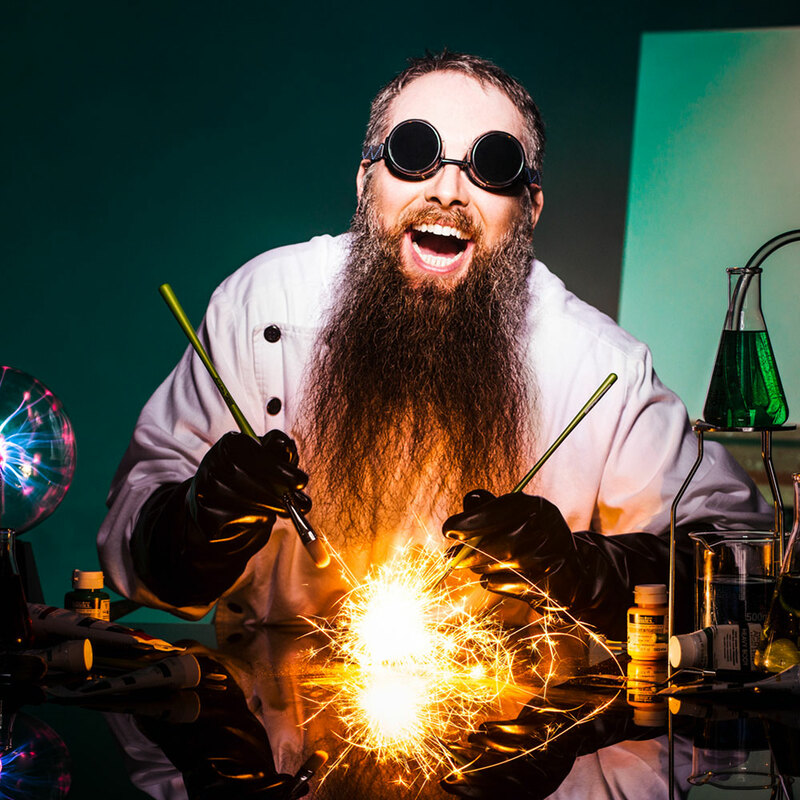 When you place an online order, make sure that the company from whom you are ordering has large format inkjet printers, and not copy machines. 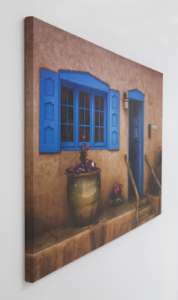 What options do I have for custom canvas prints? 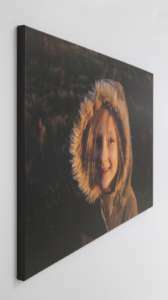 Canvas prints are photographs reprinted on a canvas surface. Artisan HD (High Definition) uses the highest quality of artist-grade canvas and inkjet printers to reproduce custom canvas prints of your photo. 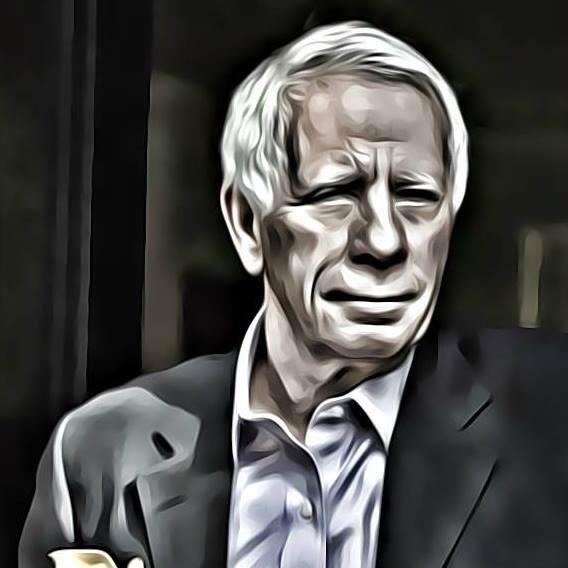 Using our high definition processing, we can turn your photo into a work of art. 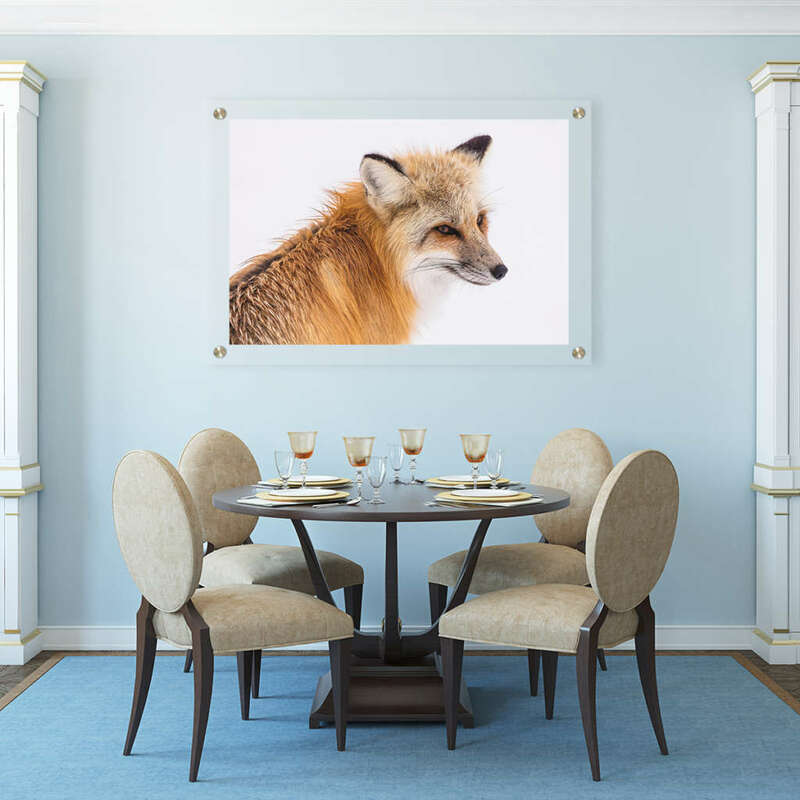 With our large format printers, we can take your digital photograph and turn it into a gorgeous high definition art canvas, and using our giclée method, we can deliver museum quality reprints — as big or as small as you wish to cover the wall space you want to fill. Canvas prints are a beautiful alternative or addition to any room, big or small, in your home, or in your office. 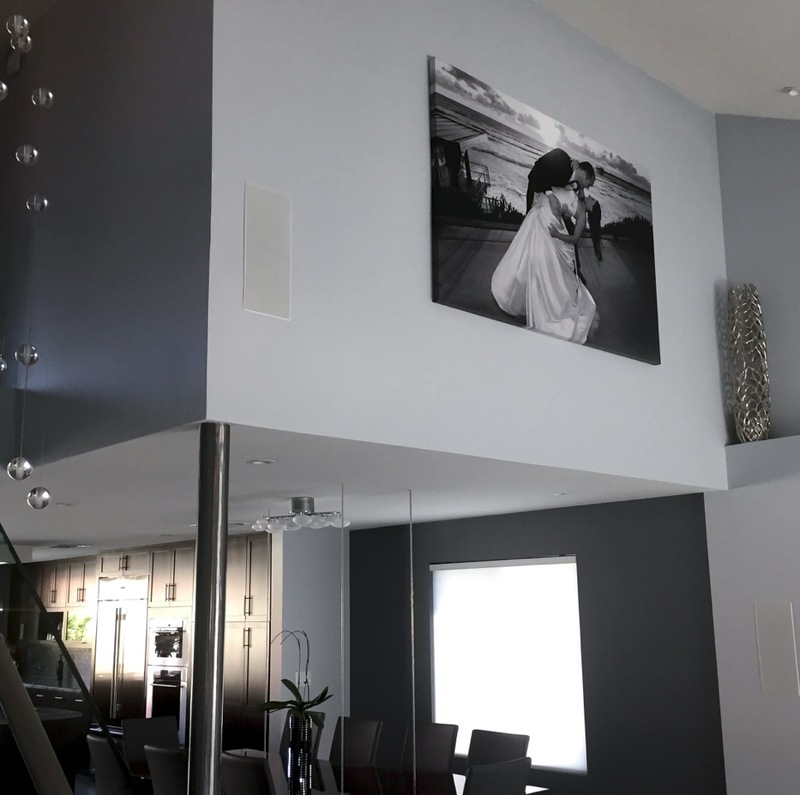 Much more durable than paper, canvas prints give depth and quality to a photograph that is incomparable. When you place your order online for personalized digital photo prints on canvas, you have a choice of how the canvas will be finished. 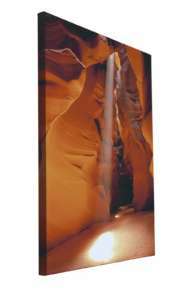 Canvas prints are stretched to fit over a 1.5″ deep wood frame or “stretcher bar”. If you want your prints framed afterwards, you will want to order simply the canvas print. 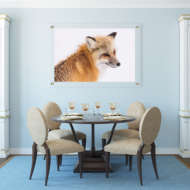 That way you can buy a frame that you feel accentuates and enhances your digital canvas print. 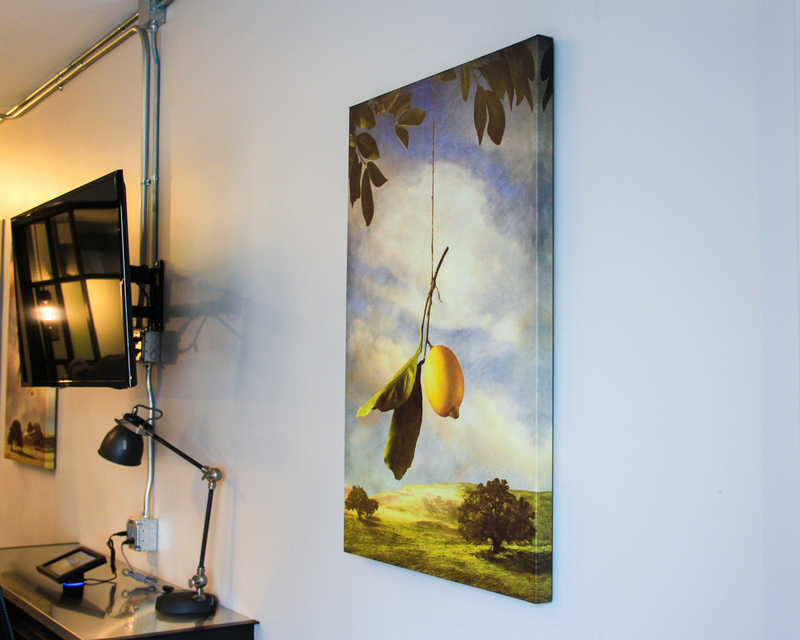 However, if you want your custom canvas prints to stand alone unframed, you will want a gallery-wrapped canvas. Gallery-wrapped canvases are mounted in such a way as to give your photograph a more three-dimensional artistic quality. Some photo subjects look better gallery-wrapped than do others. 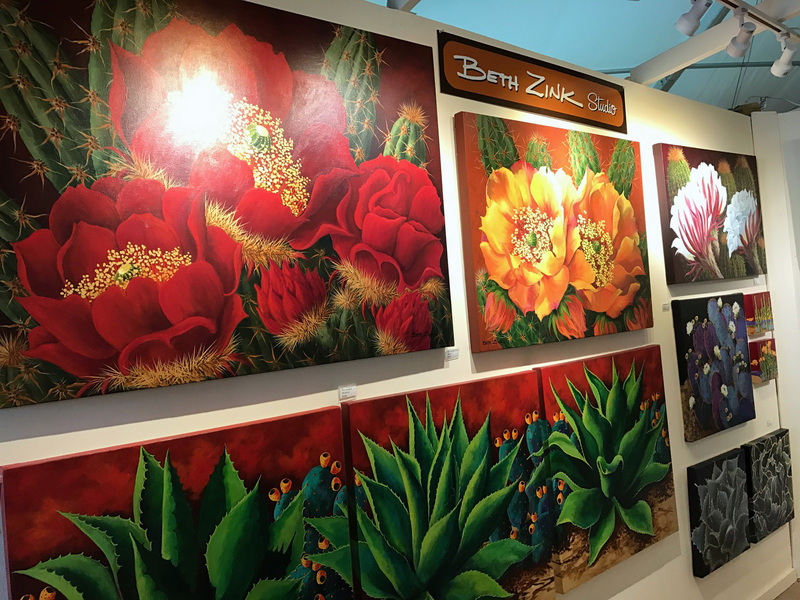 Large natural landscapes or photos of a flower are good examples of when to choose gallery-wrapped canvas because the mounting process adds to the effect of a story artfully continued. I moved across the country and still use their services! I’ve worked with this company for a good while; I moved across the country and still use their services! Thanks, Sean! We appreciate your loyalty, despite the new distance! I’ve ordered 6 prints 15×10 of my art using 3 different types of materials from ArtsanHD ( Photo Kodak Metallic paper Face Mounted to Acrylic, Dibond Direct _ Brushed Metal and Canvas Stretcher Frame Mirrored ). 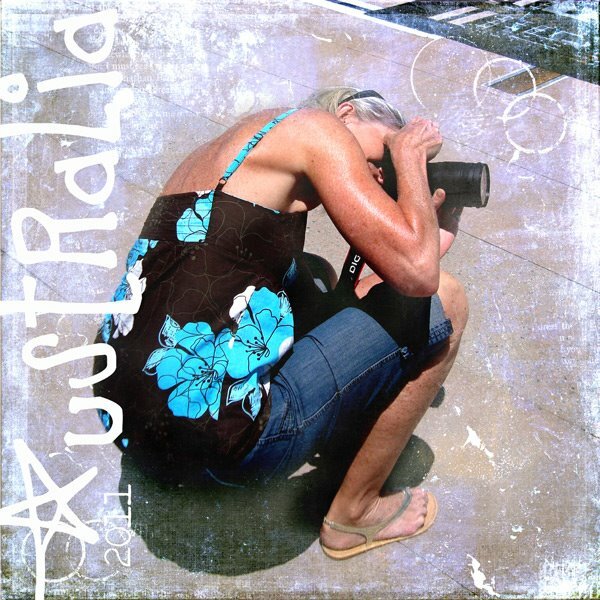 I Do fine art photography and I will be using them as part of my portfolio to show clients. Let me tell you, the quality is just AMAZING, I could not be happier with their printing. And the customer service was quick on calling me back when I had a question about my order. Congratulations ArtsanHD. Thank you so much for taking the time to leave your positive review! We truly appreciate your business and look forward to working with you on your future projects! Artisan has worked with us on several projects since 2016, and their quality is always the best. I always feel like I’m dealing with knowledgable people, and they’re very responsive. We recently had a rush job that had to overnight across the country (a large, stretched canvas print), and the whole team pulled together to make it happen. 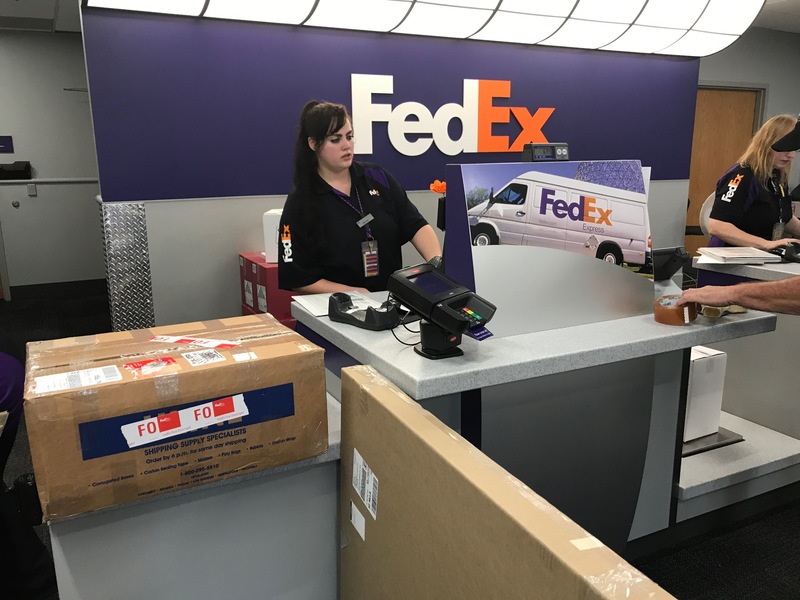 Mike Goldner delivered the boxed print to FedEx himself after hours and kept me up to speed so I could do the same for the client. Artisan made us look like heroes to everyone at our largest account. Thank you to All! Thank you for your kind and detailed review! We’ve always enjoyed supporting you with your creative print needs, and when need be, going the extra mile to ensure commitments are indeed met. (event if it takes a little “out of the box” thinking & teamwork). This is why we like to consider ourselves Print Partners, not a print vendor. Thanks again for your continued business! We look forward to the next challenge. These guys (and gals) are great! From the first moment I called to get an idea of what they even offered (they offer way more than I had thought! ), to the actual processing and fulfillment of the order, they have exceeded my expectations. They are Top Notch! Thanks for taking a moment to review our products & services! We look forward to supporting your artistic endeavors for years to come. Thank you sending us your canvas review! We are excited to hear that our Products & Services exceeded your expectations and look forward to assisting you again in the near future. 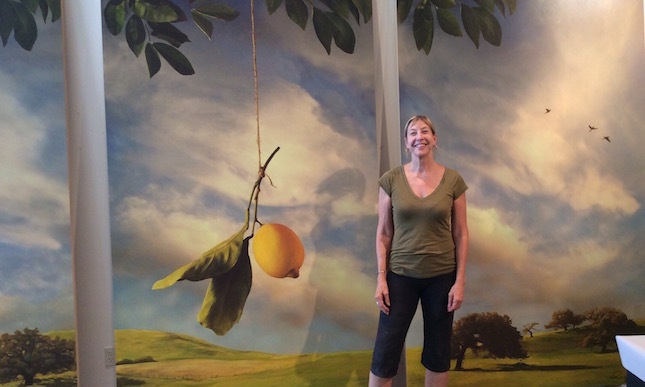 Three canvas pieces 3′ wide by 6′ tall, capturing Colorado Fall. Clients wanted golden aspen, mountains, and paths or roads. Can’t wait to see these up!!!!! I would like to thank ArtisanHD for the printing done. They look amazing, color is perfect, fast delivery. You all did an awesome job!!!!! ArtisanHD is the best! Every medium I have had printed with them (whether it is canvas, dibond aluminum, mounts on acrylic, or catalogs) is absolutely beautiful. They are professional and their facility is amazing. They have also worked with some tight deadlines which is hugely appreciated. On top of the great work that they do, they are also just great people to work with! Very highly recommended. The quality of the canvas print I purchased was superb. The customer service to make sure I received my product on time was outstanding. Customer service like this is akin to 30 years ago and is refreshing in this day and age. I look forward to ordering again and again from ArtisanHD. Just wanted to drop you a quick note and say thank you very much for helping us with the Canvas. We absolutely love what ArtisanHD was able to do. Please direct me to anywhere you might want me to leave reviews. Working with Artisan Color was wonderful. 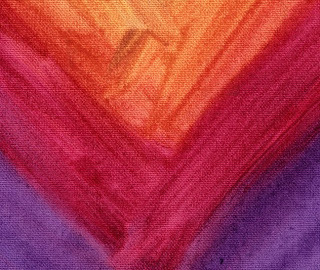 As an artist I am very particular about the color of my work and they worked with me to get samples done on my textured material till I was satisfied. Mike understood my timeline constraints and they all worked with me to get it done in time. I felt really good in their hands, everyone from the printer to the guys who helped me load these huge pieces on and off the truck worked with me. They showed interest in the project, and came up with solutions when we had a setback on printing directly onto the built panels. I really enjoyed working with them and the client loved the pieces. I thoroughly recommend them! Shipping was prompt and very carefully packed. All in all, Artisan Colour will definitely be our go-to place for future projects. So pleased with my first print. Excellent quality and the service is exceptional. I’ll be back. This is a beautiful piece. I couldn’t ask for it to be any better.